ALL single, unemployed parents will have their parenting support payments axed when their youngest child turns eight – a tough-love Budget measure designed to force them back to work. It is understood the Government will next week abolish an arrangement set in 2006 which allows single unemployed mothers to receive $648.50 a fortnight until their youngest child turns 16. About 100,000 single parents will now lose this benefit when their children turn eight. For partnered parents, income support – currently $442 a fortnight – will end when the youngest child turns six. 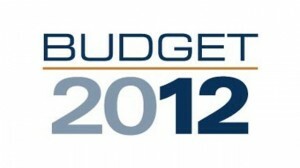 The measure will come into effect in July 2013 and will deliver a $700 million saving to the Government. Parents who choose not to find work will be penalised about $120 a fortnight by being transferred on to the Newstart allowance. Combined with an increase in childcare payments and a tripling of the tax-free threshhold, the Government hopes the measure will encourage more jobless parents back into the workforce. The policy will also remove current inequities in the parenting payments scheme, which is accessed by an estimated 630,000 people. The scheme, modified in 2006 by the Howard government to lower the threshold for claims, left existing claimants on a grandfathering arrangement where they continued to receive the payment until their children turned 16. This gave them an advantage over new claimants subject to the lower cut-off point. Exemptions will continue to apply for parents caring for children with disabilities or whose particular circumstances prevent them from being able to work. Employment and Workplace Relations Minister Bill Shorten said the Government believed that, once children were of school age, parents had no excuse to not be looking for work. “We believe that, once children are at school, parents should be encouraged and supported back into the workforce,” he said. “A job is essential to a family’s wellbeing and helping them make ends meet. Meanwhile, Defence will be hit with savage Budget cuts of more than $4 billion, including the delay of the joint strike fighter aircraft for two years to save about $1.6 billion. Opposition leader Tony Abbott expressed doubt that the Government would go through with the welfare cuts, which would also reportedly affect disability support pensioners and welfare beneficiaries who travelled overseas for more than six weeks. “I will believe it when I see it. This is a government which often talks tough but rarely delivers,” he said.